You may never turn your back on a snowman after this year’s Christmas adventure. Here’s the trailer! 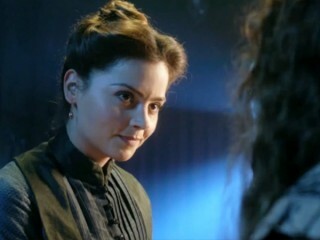 The episode co-stars Jenna-Louise Coleman as the Doctor’s new companion, Clara, and also sees the return of familiar Silurian and Sontaran characters. “The Snowmen” airs Christmas Day on BBC and BBC America. Check out SciFi Stream’s Doctor Who series guide!